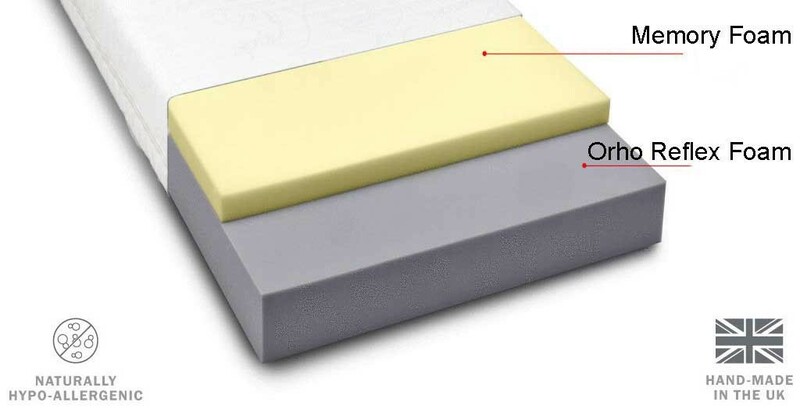 The Serenity Memory Foam 4ft 6in Double Divan Bed's Mattress is made from full foam blocks, without springs.It has a Luxury Mattress which is made from full foam blocks. Hypo Allergenic, Dust mite resistant, Contours to your body's natural shape, Relieves points across the body, Promotes good blood circulation, temperature sensitive and alleviates stresses and strains in muscles and joints for a restful night’s sleep. 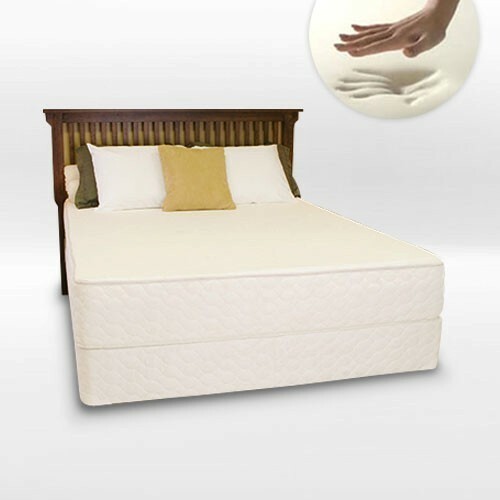 It helps to evenly distribute your body weight providing excellent comfort and support. The Serenity bed is available with a Platform top Base for firmer support or a Sprung Base for a softer more luxurious feel. The divan base is made from solid timber to provide a comfortable, sturdy, sleeping platform. Divan Base mostly comes in two horizontal split halves but when you purchase it with slide storage - It comes in two vertical split halves. Also comes with easy glide castors and attachments for the headboard.